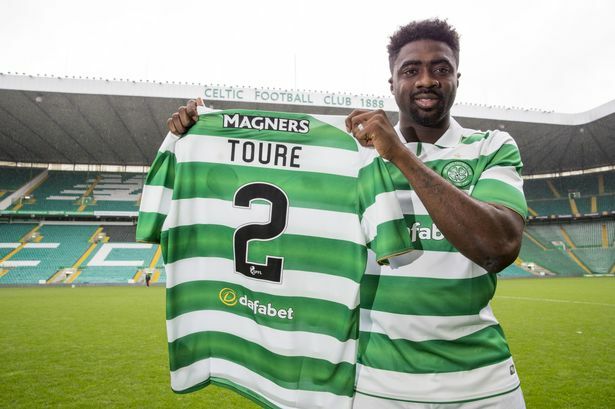 Ivory Coast defender Kolo Toure made his official debut for Glasgow Celtic on Wednesday night, helping the club reach the final qualifying round of the UEFA Champions League with a 2-1 win over Astana in Glasgow. The 35-year-old, who joined from Liverpool last month, was a 61st minute substitute for Stuart Armstrong. Celtic had earlier claimed the lead through a penalty by Leigh Griffiths in first-half added time, but soon after Toure’s arrival they conceded an equaliser to Agrim Ibrahimi. However Moussa Dembele’s penalty in the second minute of added time at the end of the 90 saw the Scottish side to victory. Celtic’s 2-1 win saw them win the tie 3-2 on aggregate and put themselves into the hat for Friday’s draw for the playoff round. They are amongst the seeded teams in the ‘Champions Route’ of the preliminaries and will be drawn against one of Dinamo Zagreb, Ludogorets Razgrad, FC Copenhagen, Hapoel Be’er Sheva and Dundalk.